This is from my daily Greek exercise of sight reading a few weeks ago, courtesy of Vincent S Artale Jr.
Exposition of Jonah Part 8: How do you respond to God’s mercy? Establish the need: If you stop and think about it, God has shown much of His mercy to us in very rich ways. How do we respond to God’s mighty mercy in our lives? Main Point: If you stop and think about it, God has shown much of His mercy to us in very rich ways. Jonah did not die after being thrown off the ship! Jonah 3:1 is exactly the same in wording with Jonah 1:1 except for “second time” and the omission of “son of Amittai”, and hence it’s important to let the hearers know that this is the re-commissioning of Jonah to go preach to Nineveh. Jonah 3:2 has the phrase “Arise! Go to Nineveh the big city and cry out against it” which are the same phrase earlier in Jonah 1:2. The difference between here and chapter one’s original commission was that the “wickedness” of Nineveh is not mentioned here (Kohlenberger, 57). The difference between this setting and the first is God’s amazing saving grace, which Jonah responded to and which we should also as well in light of our salvation. Only Jonah among the prophets hae been given an assignment twice (Limburg, 75). Unique since no prophet receive second chance (Youngblood, Location 2453). Demonstrate one can’t coerced God by manipulating His mercy nor His wrath as a way of getting out of His will (Youngblood, Location 2456). Again, we see words repeating: The words and phrase “Jonah arose,” “went to Nineveh,” “Word of the Lord” appeared earlier in Jonah 1:3and here it echoes the previous episode and often in Hebrew the same verbs are used to show fulfillment (Kohlenberger, 57). Obedience is doubly stressed by the phrase, “according to the Word of the Lord” (Kohlenberger, 57). The challenge will be focused on the city of Nineveh itself. The spotlight is on Nineveh since seven times in this short section Nineveh is mentioned at verse 2, 3 (x2), 4, 5, 6, 7(Limburg, 77). Remember, It is a blood thirsty city according to Nahum 3:1. Second half of verse 3 onward focuses on how big Nineveh was. The three days of journey of Nineveh was probably not saying it was across or around as it is suggesting more of how long it would have taken Jonah to work through the city (Kohlenberger, 57). 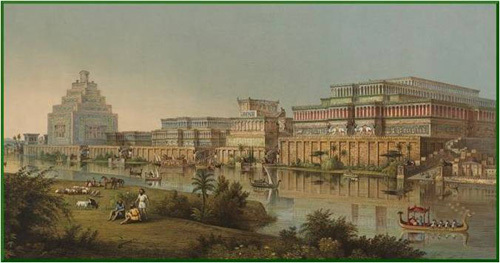 According to archaeological dig, Nineveh was probably eight miles in circumference (Price, 53). Focus was more on the difficulty of Jonah reaching the city with the message. i. We can have the joy of living out the commands of the Bible if we have the proper perspective of mercy. Write down a list of what God has done in your life that you are thankful for. ii. Study the Bible in your own personal time to see the mercy of God, then it makes you want to walk and live for Him as you see God’s mercy and goodness. Point: We should believe God’s Word. Every time we hear the Word of God preached that warns us of our sins, it is the act of God’s mercy. “overthrown”—Intriguing verb which was used earlier to describe Somon and Gomorrah’s destruction in Genesis 19:21, 25, 29 (Youngblood, Location 2650). i. In the Bible, 40 days have been a time of testing or judgment such as Noah’s flood being for forty days, Elijah in the wilderness in 1 Kings 19 and Jesus’ temptation in the wilderness as seen in Matthew 4:2 (Kohlenberger, 59-60). ii. For Jewish reader this number will recall Noah’s flood narrative and be reminded of a time before Israel existed and how God is a God who dealt with all nations (Youngblood, Location 2631). iii. Moses also spent 40 days interceding for his people before God for His mercy after the Golden Calf incident in Exodus 34:28 (Youngblood, Location 2624). iv. This period of time suggest two possible fate: destruction (like the flood) or God’s mercy (like Moses’ plea). It’s amazing to realize the response from the people of Nineveh, that Jonah’s mission was suppose to be for three days yet on the first day there was already a response (Kohlenberger, 60). Incredible that these people perhaps have never heard of the God of the Bible before this, and they respond! They went by faith! While it is not conclusion what was omitted in Jonah’s message seem to indicate that Jonah wasn’t trying to present it in such a way that it make sense for them to respond favorably towards God. Prophets normally say “Thus says Yahweh” but this is omitted (Youngblood, Location 2621). Jonah also omitted the reason why God was judging them (Youngblood, Location 2624). Nor did Jonah say how the wrath of God can be averted (Youngblood, Location 2621). Practice: We cannot think of application without asking the question: Is God something we trust—even with its bad news? Point: You should share the message of God’s wrath and mercy if you know about God’s wrath—and mercy. Main subject of this clause is “the word” and not the king. Thus the main focus is not on the king but the message. Somehow the word was shared to the king as a warning. This passage does not indicate who shared it to the king but nevertheless it is those who needed God’s mercy. This passage suggests that it was the people who took the initiative to seek God’s mercy and to tell him about God’s wrath which is contrary to the Ancient Near East expectation that it is the King who lead religious activitites (Youngblood, Location 2695). It is not easy to share a message of warning of God’s pending wrath. i. Don’t let people make you scared of sharing the Gospel and warning them of the consequences of their sins—be courageous for God and love them! ii. To rid one’s fear of man that challenges us to share God’s warning to others, cultivate a fear of God in light of His mercy shown to you! Point: A mark of someone seeking God’s mercy is humility. i. Mercy Shown: Remember God was merciful to allow the king to be warned. “he arose from his throne,” (v.6b) —Thereby “relinquishing the trappings of royal authority” (Youngblood, Location 2727); he didn’t just pontificate from his chair. “laid aside his robe from him” (v.6b) —wealth and prestige is lay aside (Youngblood, Location 2727). Note there is no strong arming God as indicated when the king reveal the purpose of his proclamation in verse 9. King says “Who knows, God may turn and relent” rather than a presumptuous “God will;” quite humbling for a king. iii. Challenge: Again in the Ancient Near East the king is suppose to determine religious activity but here we see a grass root response of the people to the warning of Jonah and the King is not pridefully set against them for not being the first. i. Don’t see our points here today as a magic formula to manipulate God to forgive you; know that God is God and can do what He wants, and it is His free desire to show mercy to you! ii. To the degree you understand God is judge and Sovereign is the degree of your response to God’s mercy with humility. Are you being humble before God?